We create our own unhappiness. The purpose of suffering is to help us understand we are the ones who cause it. 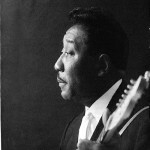 McKinley Morganfield (April 4, 1913 – April 30, 1983), known as Muddy Waters, was an American blues musician, generally considered the “father of modern Chicago blues”. He was a major inspiration for the British blues explosion in the 1960s, and was ranked No. 17 in Rolling Stone magazine’s list of the 100 Greatest Artists of All Time. 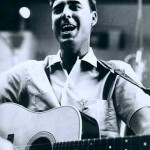 John Gale “Johnny” Horton (April 30, 1925–November 5, 1960) was an American country music and rockabilly singer most famous for his semi-folk, so-called “saga songs” which began the “historical ballad” craze of the late 1950s and early 1960s. 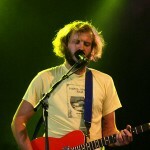 Justin DeYarmond Edison Vernon (born April 30, 1981) is an American singer-songwriter and the frontman for Bon Iver. 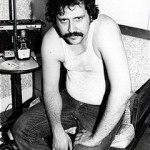 Leslie Conway “Lester” Bangs (December 13, 1948 – April 30, 1982) was an American music journalist, author, and musician. 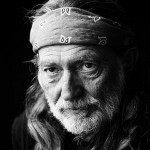 He wrote for Creem and Rolling Stone magazines and was known for his deft and influential rock music criticism. Elvis Presley recorded “Jailhouse Rock” April 30 1957. 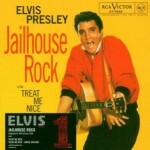 “Jailhouse Rock” is a song written by Jerry Leiber and Mike Stoller that first became a hit for Elvis Presley. The song was released as a 45rpm single on September 24, 1957, to coincide with the release of Presley’s motion picture, Jailhouse Rock. The song as sung by Elvis Presley is #67 on Rolling Stone’s list of The 500 Greatest Songs of All Time and was named one of The Rock and Roll Hall of Fame’s 500 Songs that Shaped Rock and Roll.